Now that the conventional financial sector is in a bit of a mess, people are looking for alternatives. One solution that is enjoying popularity is the age-old ideal of interest-free banking. Two questions present themselves: 1. are the ideas behind interest-free banking sound, and 2. does it work? Objections to interest have been broadly of two kinds, religious and secular, though they partly overlap. A lot has been written on the religious interdictions. Here we are concerned with secular arguments. (i) It pits people against each other because paying back interest on a loan requires using someone else’s principal. Some people consequently will have to go bankrupt. Debt-based money requires endless growth because borrowers must find additional money to pay back the interest on their debt. For the better-rated debtors […] the interest is simply covered through additional debt, resulting in compound interest: paying interest on interest. Compound interest implies exponential growth in the long run, something mathematically impossible in a finite world. 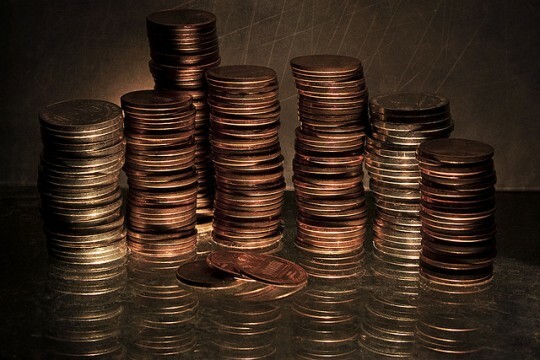 (iii) It causes an unrelenting concentration of wealth, through the stream of payments from debtors to creditors. (iv) It leads to short-termism, thanks to investment decisions based on discounted cash flows. ad (i). Lietaer assumes that interest paid to a bank disappears from circulation and thus reduces the money supply. Interest paid, however, does not vanish into thin air. Banks use their interest income for paying salaries and other expenses and what is left as profits after paying taxes will be divided between shareholders and reserves. Additions to reserves are not simply held in the form of cash or a deposit with the central bank, they will be matched on the assets side of the balance sheet by income-generating assets that require payments to other economic agents. one pfennig invested by Josef at the birth of Christ at 4% compounded interest would have grown … by 1990 to the value of 8,190 balls of gold the weight of the earth. However, interest is not accumulated without limit. It is used for pension payments, insurance claims and myriad other ends. And if a high percentage of interest income were reinvested, that would mean a high savings ratio, which would result in downward pressure on interest rates. ad (iii). Interest payments flow from debtors to creditors. True, and rental payments flow from tenants to landlords, lease money flows from users of equipment to owners of equipment and users of intellectual property make patent payments to owners of intellectual property. These are all payments for the use of a form of capital and there is no reason to single out interest as more pernicious than the others, if pernicious it is. It is, moreover, highly likely that the increasing income and wealth inequality within countries that we have witnessed over the last three decades or so (disparities between countries are decreasing, by and large) is not caused by interest but by changes in the labour market, successful stock-market flotations, favourable tax treatment for the rich, golden handshakes, high bonuses, opaque business deals and the like. ad (iv). The charge of short-termism is at first sight not unfounded. It is a manifestation of the phenomenon that present generations do not always fully take account of the interests of future generations. Abolishing interest is not the solution, though. That would make capital-intensive investments too attractive and lead to a waste of capital, as the example of the Soviet Union made all too clear. Better to apply a social discount rate to raise the discounted value of the future yield of environmental investments. Many attempts have been made to introduce interest-free exchange systems. By one count there are some 1,000 of these, over all continents. Total global turnover is no more than some $20 billion, with the Swiss Wirtschaftsring (WIR) the biggest with roughly $1.6bn annual turnover. These exchange systems alleviate the lack of trade credit for small and medium sized enterprises and, if small-scale, may foster social cohesion. The fact that participants can be in the red for limited periods without paying interest is not essential. WIR does in fact charge interest for larger borrowings and longer periods (and even Lietaer admits that we cannot do without interest-based credit for large investments). Other systems lack provisions for such borrowings. The only fully-fledged interest-free banking and finance system existing is the Islamic finance industry. The ideal of Islamic finance is profit-sharing, as financiers should receive a reward for running entrepreneurial risk, not just for providing funds. However, in practice other financing methods are far more popular, first of all murabaha or mark-up sales. The client asks the financier to buy a good he needs and the financier sells it on to the client with a mark-up, often against deferred payment. The difference with an interest rate is often wafer-thin, but the financier acts as a trader and therefore runs some entrepreneurial risk, however briefly. Lease constructions are also popular. But what to do when clients need funds unconnected with the purchase of goods or services or want to invest money and do not want a variable profit yield? The preferred solution is to insert a goods transaction just to fulfil the formal requirements. In the Gulf countries banks will buy an easily tradeable commodity as agent of their clients, against deferred payment, and immediately sell the goods against cash payment. The net result is that clients receive funds against future repayment obligations, or a money loan. In Malaysia a more blatant circumvention of the ban on interest is popular, the bai einah, or repurchase. Banks will sell a good to a client against deferred payment and immediately repurchase the good against cash payment, without the client even seeing the good. Banks also offer savers a return that is in effect a pre-determined interest rate. HSBC Amanah Malaysia for instance offers time deposits with fixed profit rates, ‘based on the Shariah principle of Murabahah’. Presumably this implies a reverse bai einah, with the bank selling a good to the client against cash payment, buying it back against deferred payment with a markup. In a similar way, banks in the United Arab Emirates can deposit money with their central bank using a reverse tawarruq. There are various variants of these constructions. Their popularity suggests that the market has a need for fixed-rate financial instruments and that purportedly interest-free financial systems have to resort to ways that are to a greater or lesser extent circuitous in order to meet this demand. 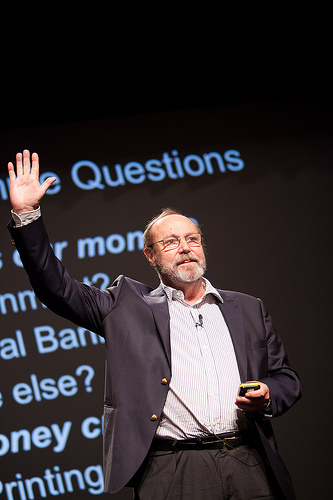 The conclusion can only be that secular arguments against interest as formulated by Bernard Lietaer are not very compelling and that attempts to move over to fully interest-free banking and finance have so far been not entirely successful. It remains to be seen whether they ever will. 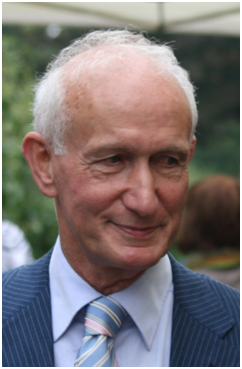 Dr Hans Visser is Professor Emeritus of Money and Banking and International Economics in the Faculty of Economics and Business Administration at the VU University Amsterdam and the author of Islamic Finance: Principles and Practice (the second edition of which has just been published).